Headline: "EOS New Adult lenses are designed with just one thing in mind – to make you the star attraction. The black outer rim circles a thick inner ring. You can choose from six different colors - blue, brown, green, grey, pink and violet. These lenses will keep your eyes refreshed and give you a confident look all through the day. Do not hesitate to flaunt them as they will fetch you a lot of appreciation." Hello readers! Lens Village sent me two pairs of circle lenses back in October, however, I had a bunch of things going on.. so the review got delayed. This is one of the two lenses I received. You all know (and if you didn't you will now) that grey lenses are my favorite! Makes me feel a bit seductive lol. 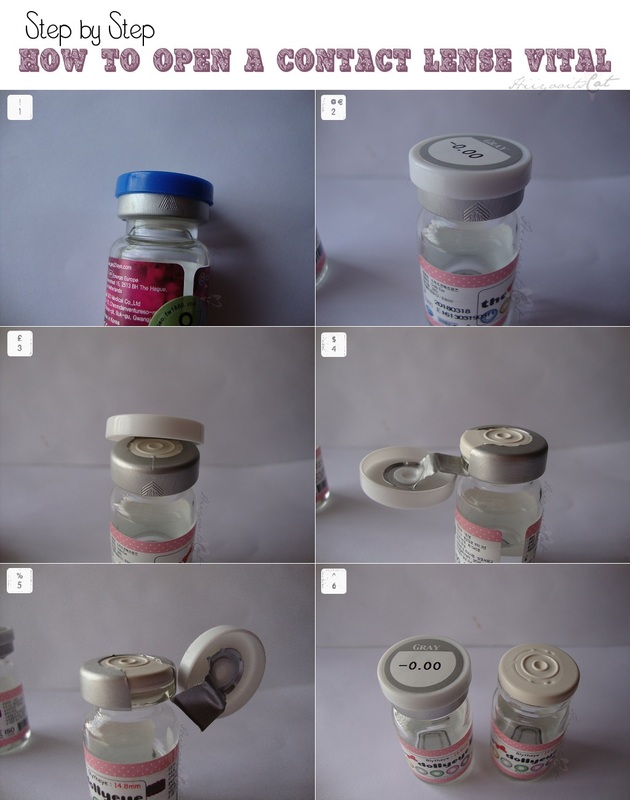 Each individual lense came in it's own glass vial filled with liquid (the bottles have a specific way of opening--how to will be below). They were also kind enough to send me these cute animal contact lenses cases. Aren't these the cutest? The purple one is my favorite. The thing about these cases is that you have to open them to see which lenses you stored in them if you have a lot of the same cases I do not have that problem since I only have two animal cases.. it is easier for me to remember what circle lenses are stored in them. The color of these lenses are quite noticeable. 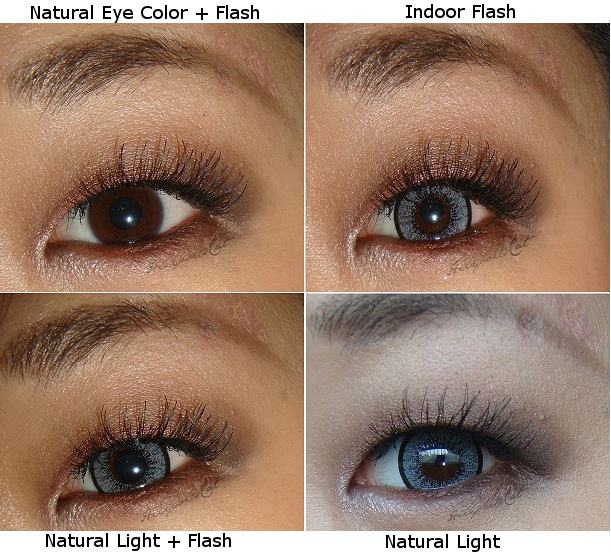 The pigmentation of the circle lenses are very opaque and will certainly show up on people with dark colored eyes. It looks gorgeous with and without flash. You can see in the photos below that the color is a bit more intense when taken with flash. I also noticed that it looks much more natural in person than it does in flashed photos. The circle lenses effect is very subtle. It will not give you noticeably larger eyes but will enlarge them just a bit to still look natural. They are also very soft and easy to insert into my eyes. One of the good things about these lenses is that they did not irritate my eyes and were comfortable to wear throughout the day (6+hours). I love wearing these when I do a smokey eye.. they help make the eye makeup look much more sultry. They are extremely comfortable, do not dry out my eyes & color shows up on my dark brown eyes. I think that if you can get a pair of pretty and comfortable circle lenses for under $25 you should go for it. These are only $21.50 over at lensvillage.com. You also get a free animal case with every pair of lenses you buy. I really want the pink and teal ones! They are so adorable. Be sure to check out other reviews I have on circle lenses HERE. I will be reviewing the Princess Mimi Bambi series in Green Apple next! HERE. Thank you! Grey lenses are def. my favorite color to get. Hey guys! If you're new to my blog, I'm Cathy.. I also go by Cat. 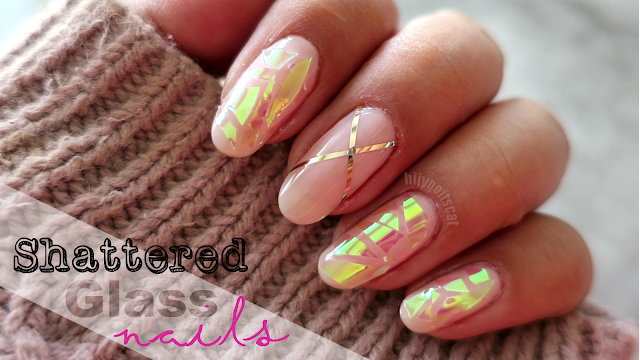 I post about various topics relating to make-up, nails, hair, skincare, and lots of DIYs. I hope to inspire my readers as they inspire me to be at my best. My blog is a place for me to share what I love to do and the things I enjoy for others to discover & possibly enjoy themselves. "Beautiful is greater than Good, for it includes the Good"